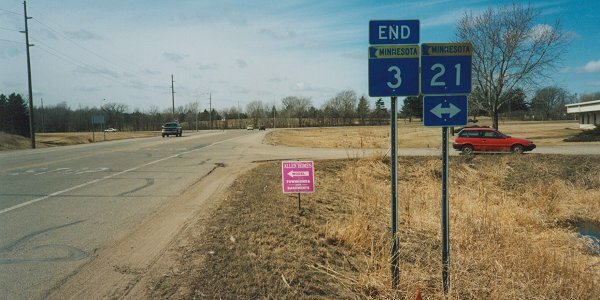 MN 3's present southern end is at MN 21 on the outskirts of Faribault. Formerly a "Y" intersection, it was recently rebuilt into a "T" intersection. Monte Castleman (that's his now-gone red car on the right) adds: MN 3 was originally MN 1, then US 65, then MN 218, then MN 3, except for the segment in northern Faribault where it heads sharply to the west. MN 3 originally followed the alignment of these older highways through downtown Faribault and then to Owatonna, but was changed so these roads could be turned back. MnDot doesn't like to maintain roads parallel to freeways or through central business districts. Some bridges on 2nd Ave still have Minnesota Department of Highways markings on them from this era. Photo by Monte Castleman, taken March, 2002. 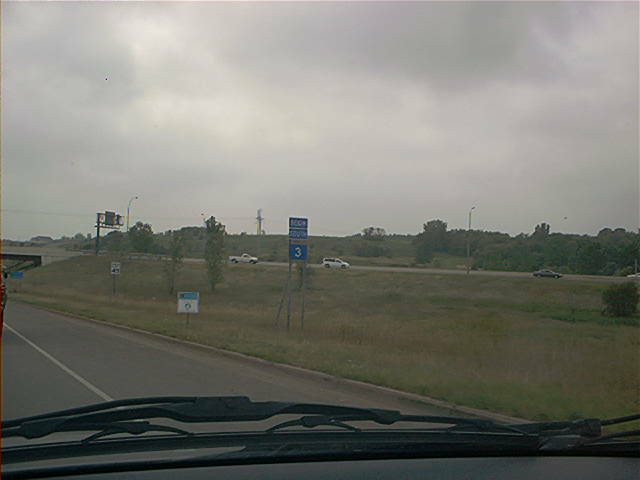 Here's the "BEGIN MN 3 SOUTH" shield, located at the MN 110 interchange. Photo by Don Greiskalns. At the MN 110 overpass (the bridge on the far left of the above photo). 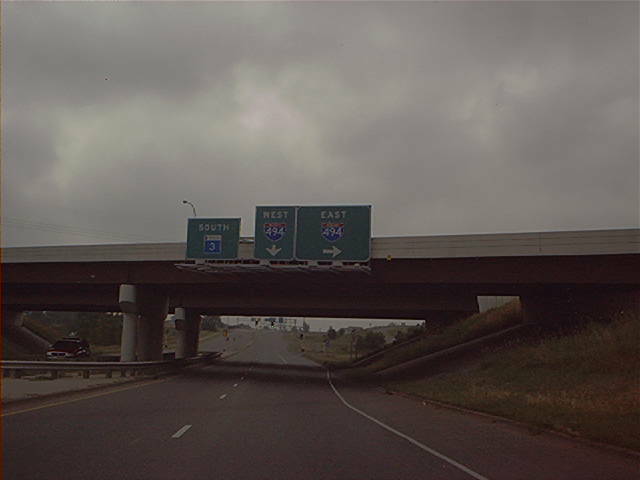 The I-494 interchange is in the far background. Photo by Don Greiskalns.